AbraxSys understands that customized electromechanical design options for our customers are necessary from time-to-time. Critical project support remains a cornerstone with any successful business. With an experienced engineering staff, AbraxSys can support such situations whereby traditional off-the-shelf products just won’t suffice. 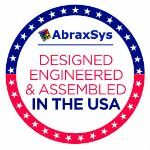 From the initial inquiry, to engineering support, to prototyping, to product acceptance, to finished product approval, AbraxSys will be with you throughout the process. Management understands the need for positive and accessible communication; comprehensive product, project and applicational understanding; as well as on-time delivery commitments and quality assurances. That’s the AbraxSys difference. 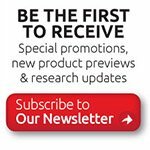 Our unwavering philosophy is “Customer first”...PERIOD. Contact an AbraxSys associate today to discuss your project needs.